When searching for a new home it is helpful to prioritize features and elements by needs and wants. This will help you sort through properties on the market quickly and keep you focused on homes that are worth setting up a showing. You may have to make some compromises, having your list separated will make it easier to stay in your price range and eliminate other homes on your list. 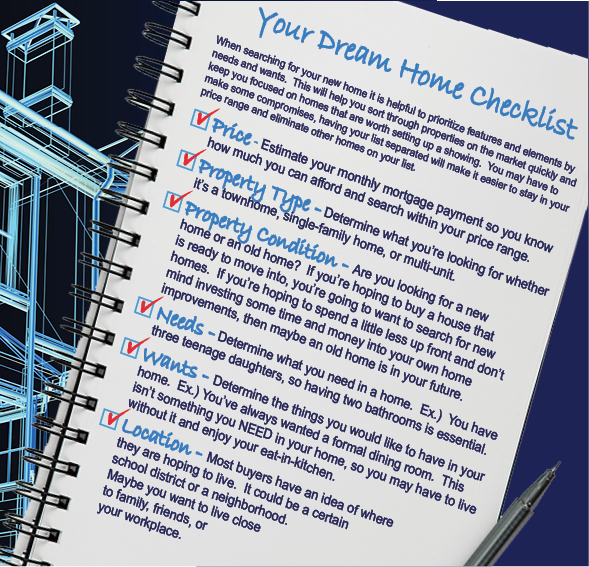 See the checklist below and consider these 6 things; Price, Property Type, Property Condition, Needs, Wants, and location of the home. Prudential Homesale Services Group offers real estate services in both Maryland and Pennsylvania for home buyers and those looking to sell their home. Contact a real estate professional with any questions you may have or visit us on the web at http://www.prudentialhomesale.com. Don’t forget to try out our real estate search engine to search properties all over Maryland and Pennsylvania.